Bobco Industries, Inc., of Fort Worth, Texas, is a contract manufacturer providing mechanical and electrical manufacturing, as well as subcontracted electronic sub-assembly services. 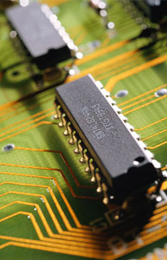 Having more than 35 years' experience providing industry and consumer-based businesses with electronic assembly services Bobco Industries is one of the most reliable contract manufacturing and electronic assembly manufacturers available. Taking provisions to protect and secure interests for every client our reputation for excellence, confidentiality, and satisfaction is unparalleled. We are dedicated to our clients and take a great amount of pride in our reputation and our abilities. Working with diverse industries, our manufacturing teams and support staff have the experience needed to complete jobs in a timely manner, making certain everything is done to specifications. By staying on schedule are able to accommodate special manufacturing requests. From military projects and oil field materials to projects for the automotive industry, we can handle any electronics assembly project. Contact us in Fort Worth, Texas, for more information about our electrical manufacturing capabilities.